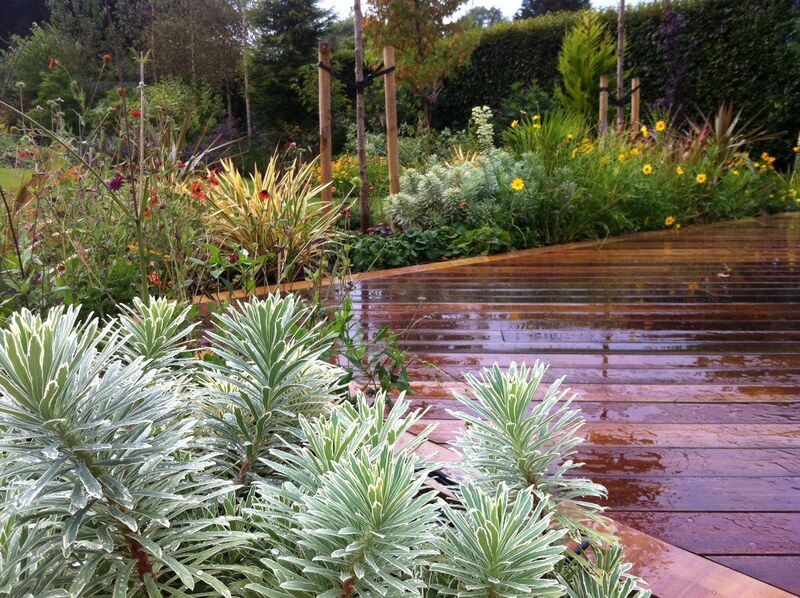 Woodcote can help you create an attractive, durable and fully tailored patio or decked area for your garden. Building a patio or decked area is a great way to add another layer of design to your garden – whether it’s a simple turfed yard or a beautifully landscaped space. 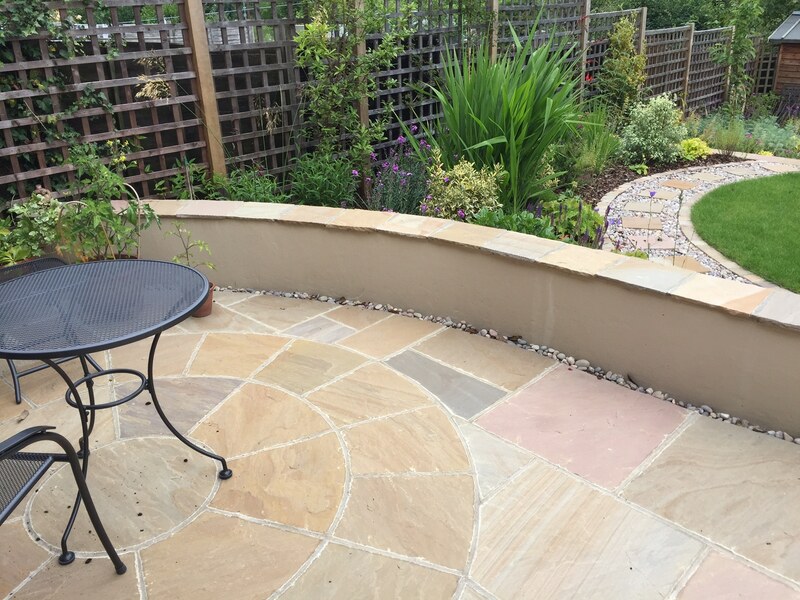 A patio can also enhance your enjoyment of the garden, as it means that you can sit outdoors comfortably, without having to worry about mud or grass stains. 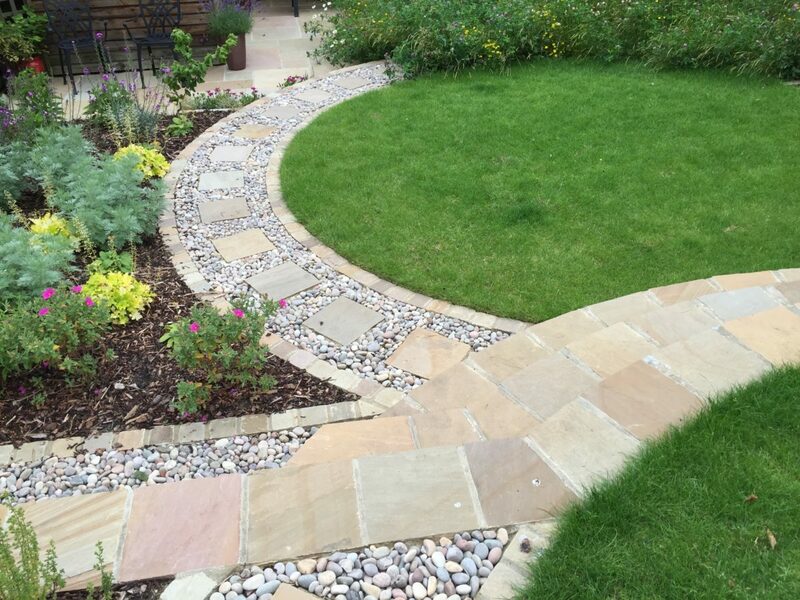 Our team is able to create your patio or decking from a wide range of high-quality materials, including Indian sandstone, brick, concrete, granite, shingle and timber – all of which are sourced ethically, and come from suppliers that we know and trust. 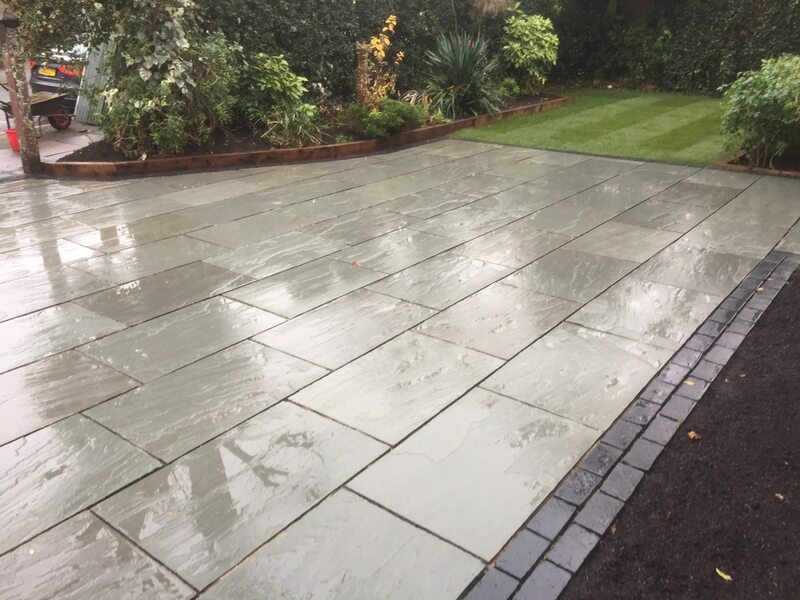 As well as making sure your new area beautifully blends with your garden design, our focus on sourcing the best materials ensures your patio or decking stays in good condition for years to come. If you have a particular material in mind, we will do our absolute best to source it for you. Our bespoke patios and decked areas are built to your exact preference in terms of material, structure, style and design. We have produced everything from simple, one-level concrete patios with plain edges to raised outdoor seating areas that combine diagonal hardwood decking with contemporary shaped stone patio areas, bordered with decorative edging. We have produced patios and decked areas for some of the most beautiful commercial landscaped gardens, so you can trust us to create a design that you will love. The great thing about patios is that they require very little maintenance to keep them looking amazing. 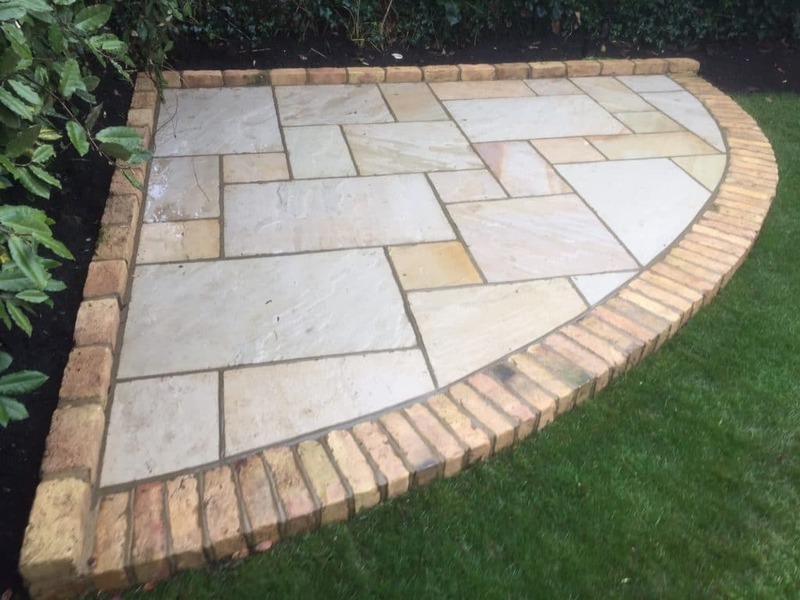 They can naturally start to discolour, or build up dirt, moss or algae, due to regular use or being exposed to the weather, but this can be easily rectified with a pressure washer or a specialist patio cleaner. It is also a good idea to apply a sealant after the patio has been laid, as this will preserve and protect the patio, and minimise the build-up of dirt. 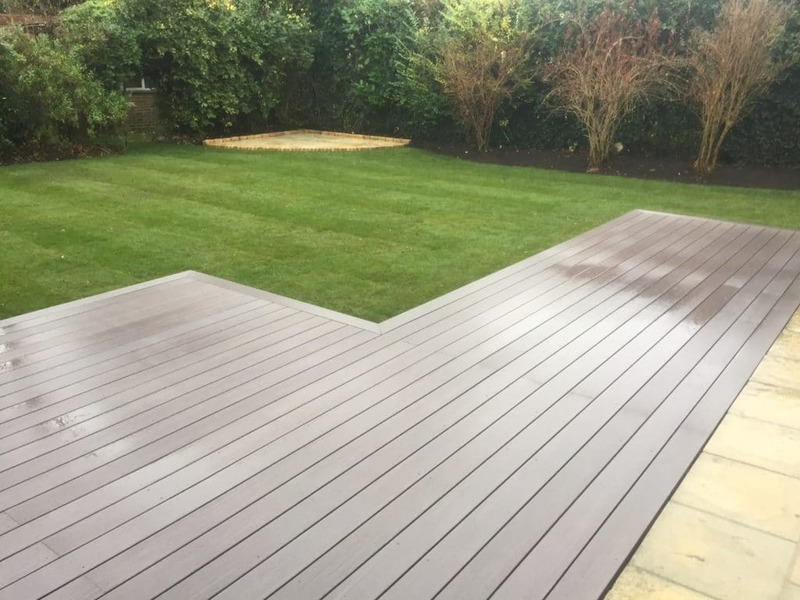 The Woodcote Fencing & Landscaping team offers a wide range of maintenance services for your patio to ensure it looks neat, bright and tidy all year round. 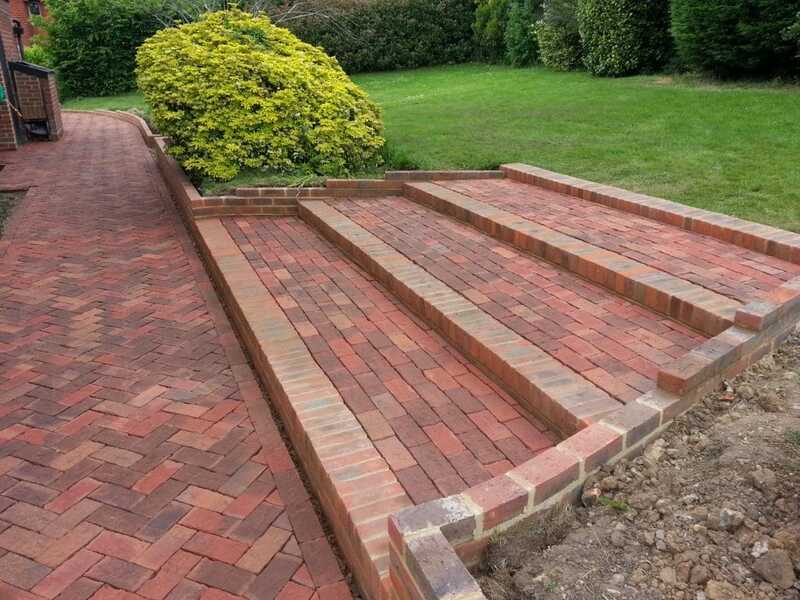 To find out more about our patio services, contact us at Woodcote Fencing & Landscaping today for a free, no-obligation quote. 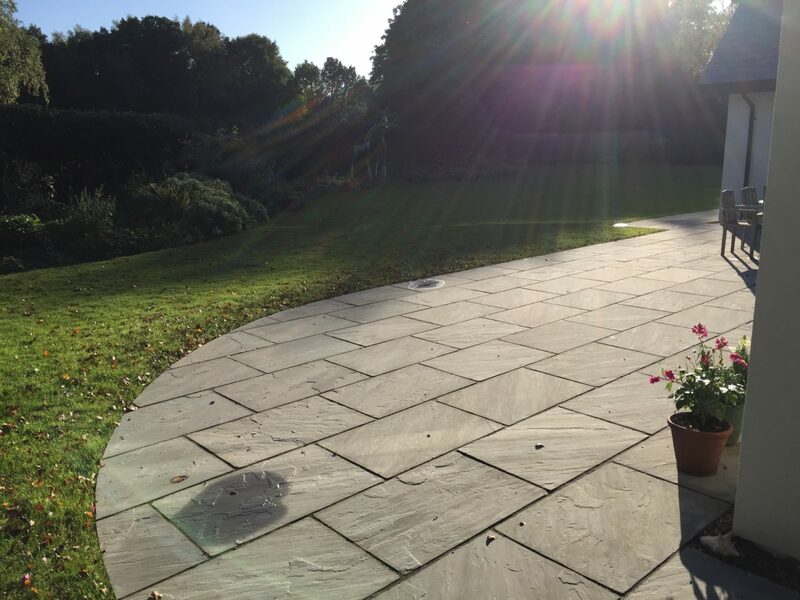 We have years of experience producing high-quality patios in Ashtead, Banstead, Carshalton, Cheam, Epsom, Kingswood, South Croydon and Sutton.